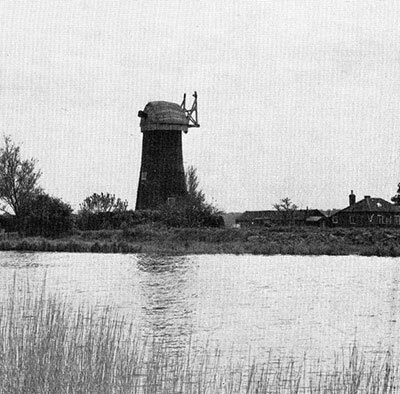 Upton Black mill was so called because it was a black tarred Norfolk red brick tower drainage mill. The tower, which had less batter in the upper section was encircled with 5 iron bands. The Norfolk boat shaped cap with a petticoat had a gallery and held a fan stage. A date stone inscribed 1800 was set under a window facing the river. A Ruston & Hornsby diesel engine was installed to replace a steam engine that had been used in time of low wind. The diesel engine remains in the engine shed.. 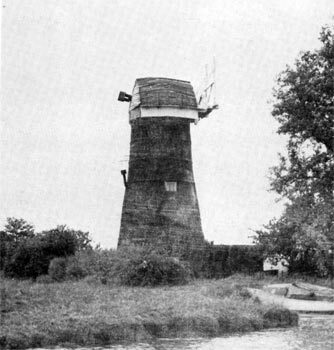 The mill stood near a farmhouse and barns and by 1985 a modern drainage pump was working nearby. 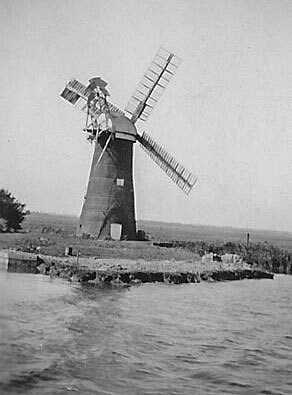 I am originally from Bishops Stortford, and as a child we used to holiday in a cottage next to a windmill called Palmers Mill just outside a small village called Upton, near Acle. 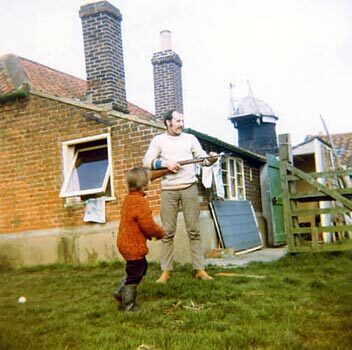 Back in those days it was a dirt road and we had no electricity or plumbing, so we had gas lamps and an old chemical toilet, the road was so bad in winter times that we had to get out and push the car out of the mud! 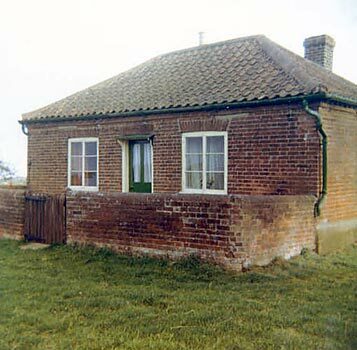 I am enclosing two pictures of the mill and the mill keepers cottage that we used to stay in as children. 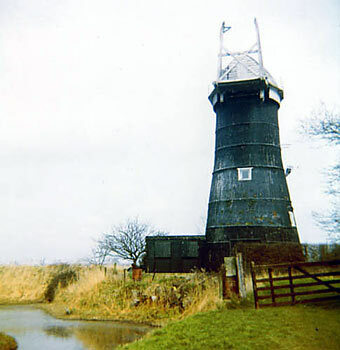 I have been doing a bit of research on the mill as we used to go there as a family in the late 1950s. It was a magical place for us with the accommodation at the mill and the river frontage for the motor boat which came with the holiday let. 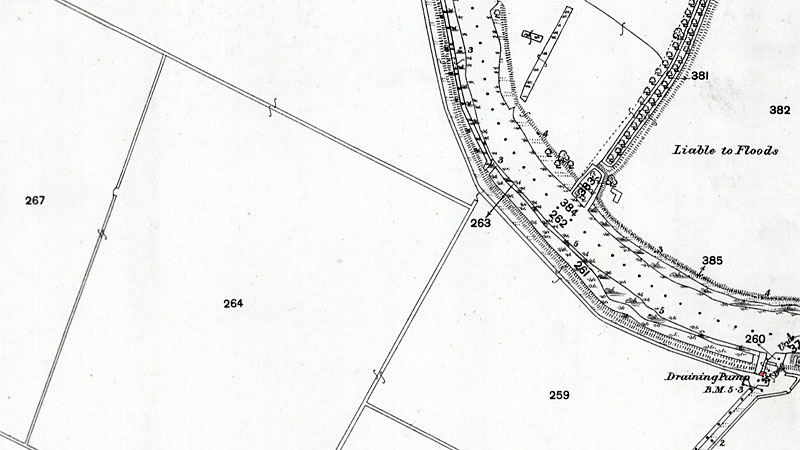 In those days we did not use the road access but brought everything by boat from Upton. The mill keepers house was still occupied and we obtained milk from the farmer there. 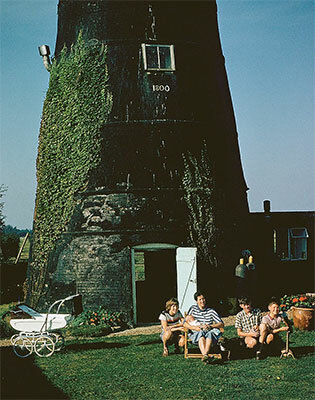 I attach a photo taken in 1959 showing my mother, sister and two brothers (one only a few moths old at the time). You can also see the Silver Cross pram which came up river in the motor boat!